today, I would like to share this cute birthday card with you. I tried a new technique and I call it Inktense Glitter Watercoloring. 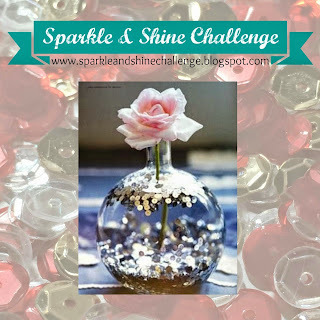 I love all that sparkle and shine, don't you? color the images using Derwent Inktense Pencils and the "Glitter Waterbrush"
Labels: Avery Elle, Derwent Inktense, Distress Ink, Embossing, Embossing Folder, Lawn Fawn, Patterned Paper, Perfect Pearls, Pretty Pink Posh, Sequins, Technique Tuesday, Texture Boutique, WOW! Beautiful card, Tanja. Love all the glitter! Thanks for playing at Sparkle & Shine! Very pretty card! I love the scene you created, it is so adorable! 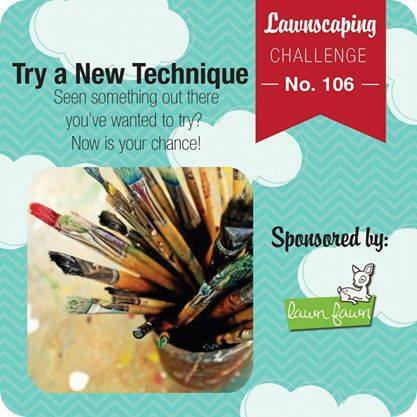 Thank you for playing the Lawnscaping Challenge!